Have you ever CASE'd yourself? 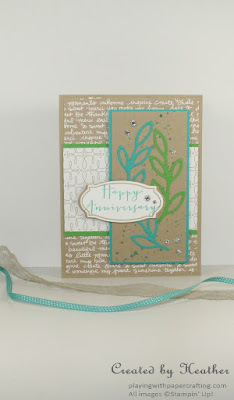 When I saw the colour swatch for the Pals Paper Arts Challenge this week, I immediately thought of a card I'd done a while back, using the Rose Garden Thinlits and Rose Wonder stamp set. With some colour and sentiment changes, it was perfect for this challenge. 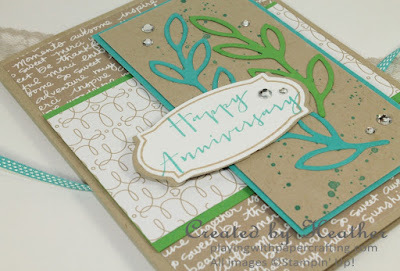 I just love that Designer Series Paper from the Love Blossoms DSP stack. It's just kind of a sophisticated, Art Deco-like design - a perfect background. 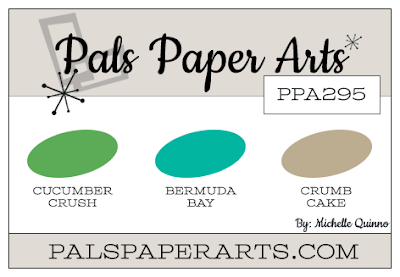 The other DSP is from the Neutrals Designer Series Paper Stack. The leaf sprig from the Rose Garden Thinlits Dies is one of my favourites. 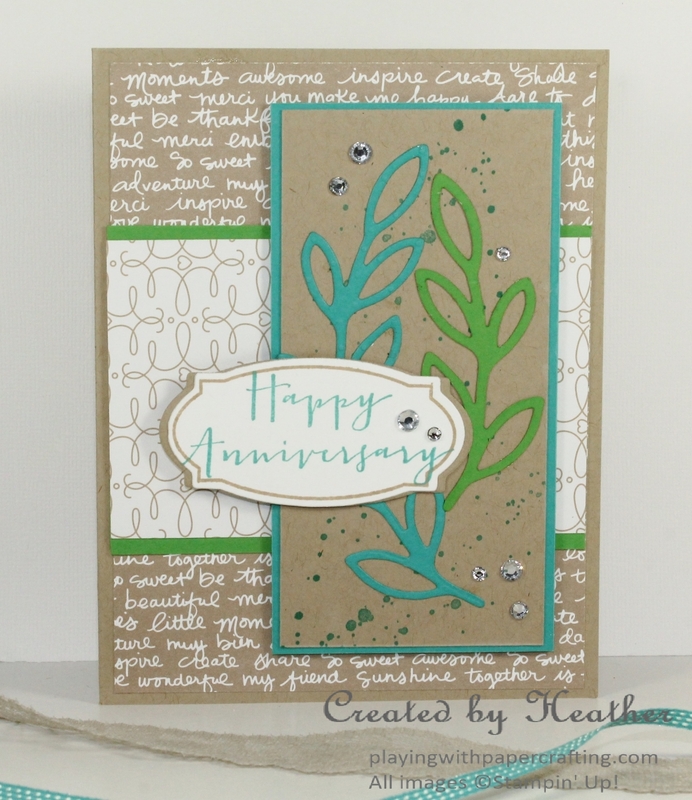 It looks great with the rose die cuts or on its own, as I used it here. There are actually 3 sprigs here, but I trimmed the top leaf off the third one, in order to fit on this panel. I really like two things here: the sentiment label which you can stamp with an image from Rose Wonder and which coordinates with a die from the Rose Garden Thinlits. The other is the font of the Happy Anniversary sentiment from the Timeless Love stamp set from the Annual Catalogue. I also like the way it stamps a little over the border on this label, refusing to be bound by convention!! Well, this is the last Tuesday for Weekly Deals, which end Monday, April 18th. 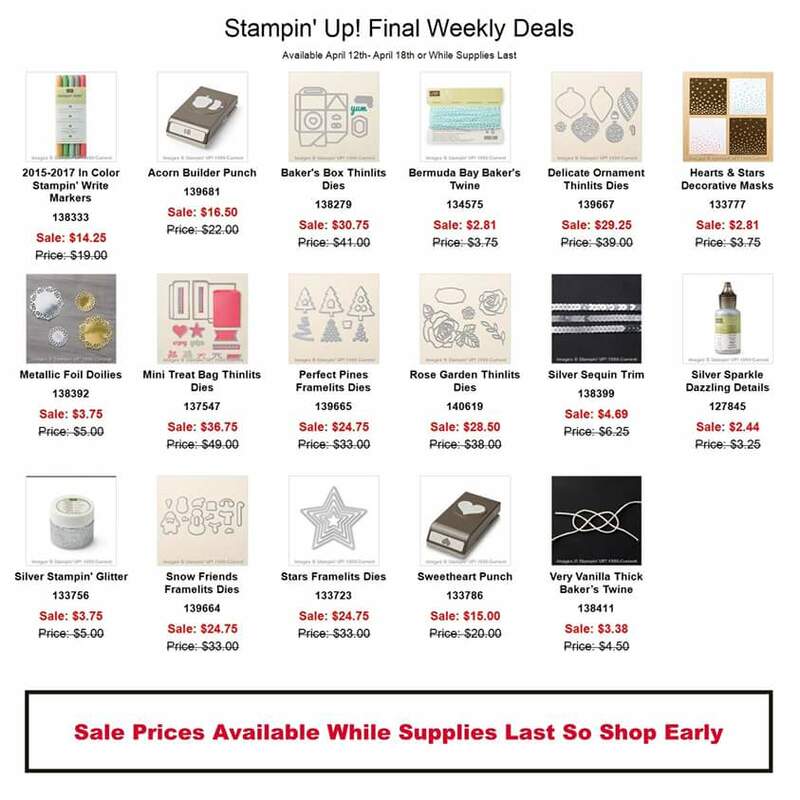 They will be replaced with less frequent Special Offers, which will contain better deals, but if you want to get in on the last Weekly Deals, let me know this week or go to my Online Store to shot Weekly Deals anytime.